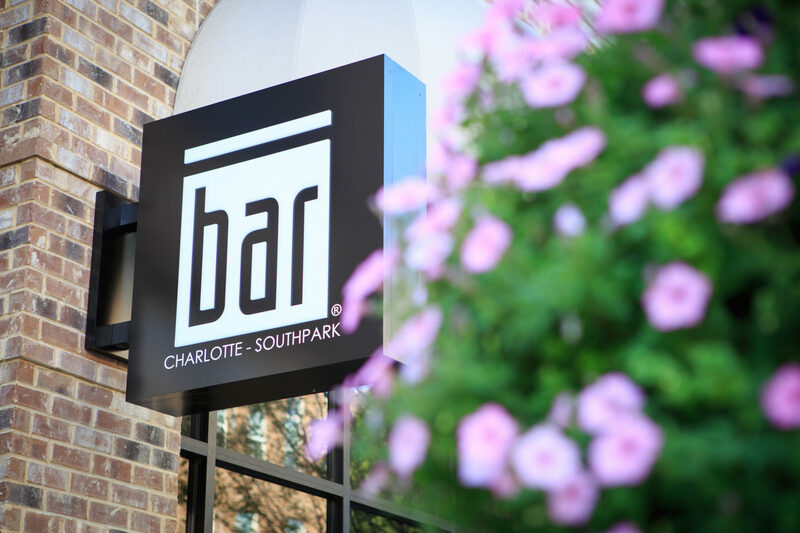 The Bar Method Charlotte - Southpark is a boutique fitness studio offering barre classes for students of all levels. The signature method uses your own body weight, the ballet barre and a few props to create a transformative workout that results in long, lean sculpted muscles. Not only does it reshape your entire body, but it allows you to channel your inner strength and leave class feeling strong, confident and poised. Highly-trained instructors customize the exercises to ensure they are safe and effective for any age and every body, including modifications for pregnant women and students with injuries. Our staff and community are here to support you from the moment you walk through the door. 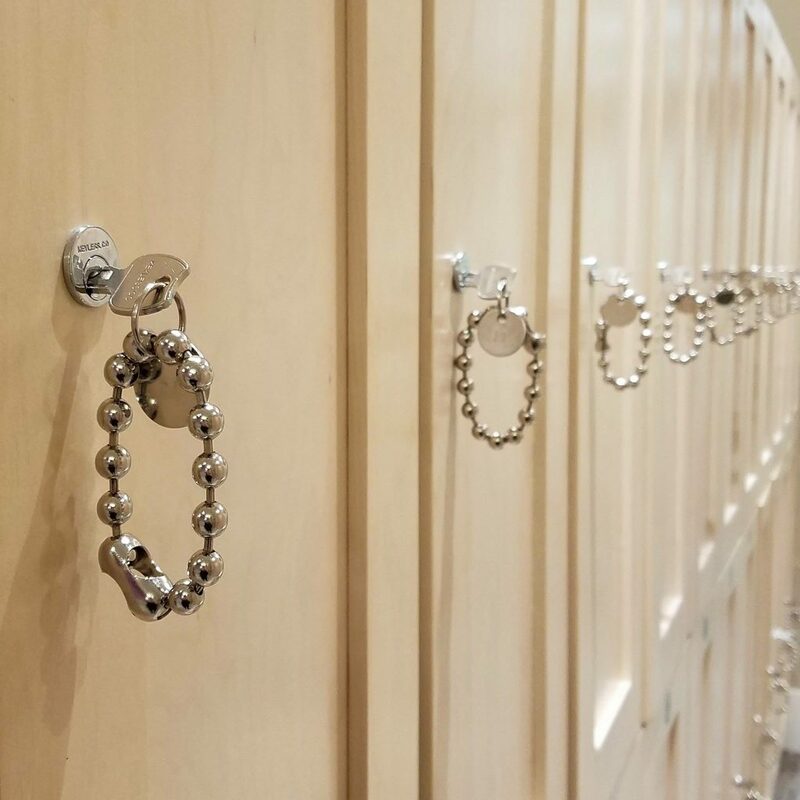 The first Bar Method studio in the Carolinas is located in the heart of Charlotte's South Park neighborhood and features two workout studios, child care, a locker room, and a spacious lounge area. We are open 7 days a week with classes throughout the day. You can find free street and deck parking, or use our complimentary valet. Autumn Frk discovered The Bar Method in 2009 while living in Chicago and working as a nurse. Growing up exploring traditional and extreme sports, the science of movement has always been of great interest to her. She loves how The Bar Method is detail oriented, form focused, and backed by science. After nearly a decade of working as an oncology nurse, Autumn's desire to promote wellness and longevity to women merged with her love of The Bar Method. She opened Carolina's first studio, located in Charlotte's SouthPark neighborhood, in 2015 and the second studio, in South Charlotte's Waverly neighborhood, in 2018. You'll often find her at the studio with her son, Carson, and husband, Chad. While walk-ins are welcome, class sizes are limited and can be sold out. We highly recommend reserving classes online or The Bar Method app in order to guarantee your spot in class. Reservations can be made up to 30 days in advance. If you cannot attend class, cancel your class online, on The Bar Method app, or call the studio to avoid being charged for a no-show. All classes require cancellation 1 hour in advance to avoid a penalty. Any late cancel within the 1 hour window will be charged a $10 fee. Any no-show will be charged a $15 fee. Returning students may enter up to, but not after, 10 minutes into any Bar Method, Bar Express, Bar Advanced, or Bar Move class. Returning students may enter up to, but not after, 5 minutes into any Bar Restore class. We provide towels without charge. Hand towels are available outside of Studio A. Please leave your towel in the hamper on your way out. There is free parking on the street in front of the studio, as well as in the 7 level parking deck adjacent to the studio. Please do not park in front of Shower Me With Love or in the Whole Foods parking lot unless you are patrons of each. Club Bar members are allowed to freeze their memberships twice per year for up to 30 days. A fee of $50 is required for each additional freeze of your membership. All Bar Method packages may be returned within 7 days of purchase and must be un-used. There are no refunds for classes already taken. Retail items may be returned within 7 days from purchase, unworn, with tags still on. Discounted retail items are final sale and may not be returned.